Captivating Custom home, built 2017, offers a Legal Tiny House Cottage. Discover unparalleled attention to detail and character from the striking exterior offering, Nantucket cedar shingles, a welcoming front porch, exposed stone enhanced features and distinctive architectural lines, to the interior 20 ft soaring ceiling in the family room, luxurious chefs kitchen with all the bells and whistles. Elegance, modern sophistication and timeless tradition, is quite captivating. 4 finished floors with a transitional design. Sleek, wood tiled wall adding texture & hosting a floating linear fireplace creating a cosmopolitan flair . Steps to the Hunt Club CT s Premier Equestrian Country Club. Love walking to school Yes, you can. 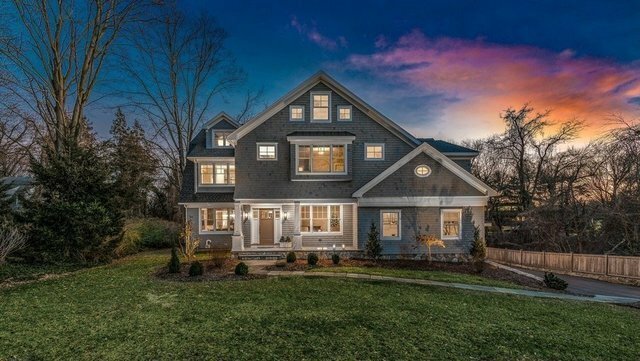 Extremely convenient to top rated Westport schools, beach, metro north and thriving downtown Westport help make this home a lifestyle winner.